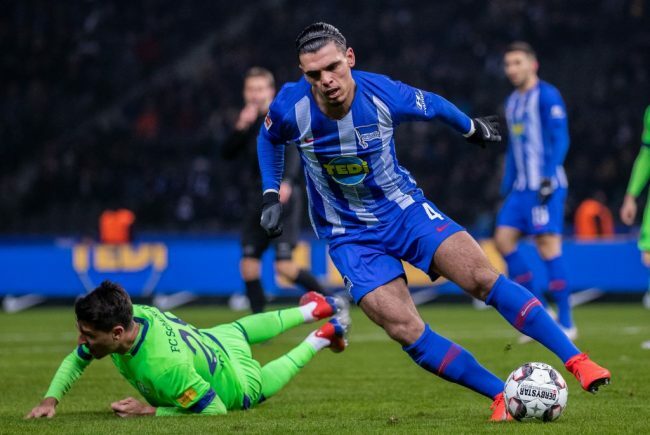 Hertha vs Schalke exploded with a high octane opening 45 minutes – however, both sides lacked any real quality in the final third during the second half. The eventual scoreline a fair reflection of Friday night’s proceedings. Karim Rekik received a dubious yellow card just as the fixture approached its quarter of an hour mark. 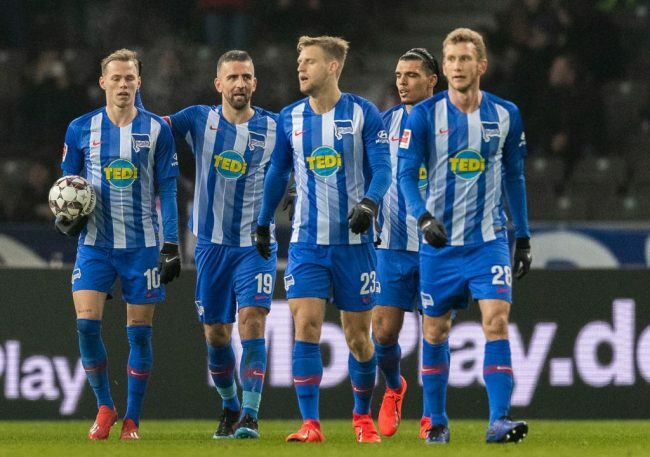 In real time the decision taken by Dr. Felix Brych looked to be one that could have gone either way – however, television replays showed the Hertha player was guilty of serious foul play. Alessandro Schöpf was left in a heap following the clash, the Schalke player was lucky to escape without a break to his shinbone. Rekik was not only late, he was high – and nowhere near the ball. With his foot planted onto the midfielder’s leg, it was the sort of challenge that could of ended Schöpf’s season. The wild tackle obviously had an impact, he was withdrawn just 12 minutes later – making way for Suat Serdar. It was an incident that should have resulted in a VAR interjection. One of the video assistant’s roles is to ensure that no clear wrong decisions are made regarding the sending off, or not sending off, of a player. Schalke will now nervously await the next 24 hours as they assess the damage done to Schöpf. With a number of crucial games on the horizon, his absence could be key to their immediate future, especially in the DFB-Pokal and Champions League. Had Rekik received his marching orders, Friday night’s fixture could have ended in victory for a Schalke side desperate for points – as they seek to make up the gap to the European qualification places. Yevhen Konoplyanka made only his ninth appearance in the Bundesliga this season on Friday night, the fixture against Hertha gave the Ukrainian a fifth start as one of Domenico Tedesco’s trusted XI. The 29-year-old repaid the faith shown in him by his coach, opening the scoring with a fabulous goal. A right footed shot from outside the area was curled with such ferocity it left Rune Jarstein a bystander between the Hertha posts. Defensive woes have been an issue for the Gelsenkirchen club all season, so it was no surprise to see Hertha pull level 22 minutes later. Die Knappen did though, muster up another opportunity of real quality – Mark Uth firing home after a neat pass from Bastian Oczipka. But, yet again, Schalke were unable to see a half out. Slipping to another Hertha equaliser, this time deep into first half added time. Vedad Ibisevic given all the time and space he needed to nod home a simple chance. Regrouped and revitalised, Schalke came out for the second half full of intent, but it was a lack of clinical finishing that stopped them from capturing all three points in the capital. Substitute Serdar should have done better with his opportunity on 70 minutes, while Steven Skrzybski and Konoplyanka both had chances to secure a win late on. The visitors best chance to claim all three points came with just a few minutes left, Salif Sané somehow headed over from close range after a pinpoint wide delivery from Daniel Caligiuri. On another night Schalke could have had four, but it is a situation that appears to repeat itself frequently. While it would be unfair to say Hertha had the better of possession, they did look a more cohesive unit compared to the Königsblauen. The opening goal came against the run of play but the Berliners didn’t allow this to rock their approach, or their ability to stick to a game plan. Vedad Ibišević, Ondrej Duda and Fabian Lustenberger all had a good evening, while Marko Grujic yet again impressed. The midfielder, on loan from Liverpool, has been a source of good fortune for Hertha. Prior to this evening’s fixture the Serbian had a return of 20 points in the eight games played this season, without him in the side Pál Dárdai’s men have only picked up seven. The 22-year-old Red Star Belgrade academy graduate started, then finished, a wonderful counter attacking move that had all the hallmarks of a team-goal of the season. With another positive result to add to his bow, Hertha are still unbeaten when he is involved in a Bundesliga game. 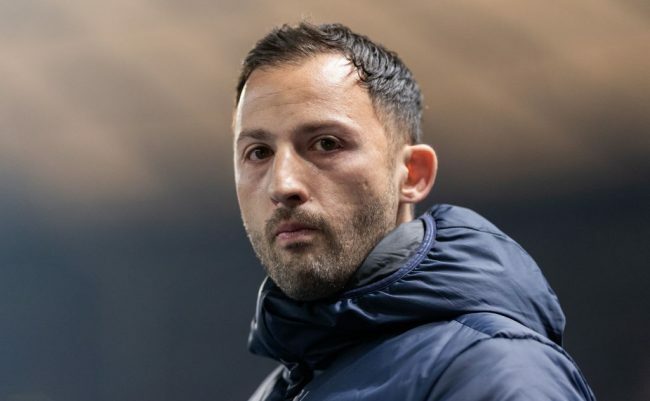 Domenico Tedesco has been dogged by injury problems all season, tonight will not have helped his cause as he looks to oversee a Rückrunde to remove the Royal Blues out of their mid-table disappointment. Already missing a number of key players – which includes last season’s top scorer Guido Burgstaller – the Schalke head coach will have been ruing the withdrawal of another three players this evening due to injury. Alessandro Schöpf and Benjamin Stambouli both left the Olympiastadion pitch with barely 30 minutes on the clock. Stambouli with suspected concussion, while Schöpf’s problems coming via that terrible tackle by Karim Rekik. With Burgstaller missing due to an Achilles issue, Schalke’s forward line has been further hit by injury. Franco Di Santo’s absence, coupled with Breel Embolo’s knee problem, left Tedesco having to field fourth choice Steven Skrzybski as the main striker. The former Union Berlin attacker was forced to leave the fixture this evening, after what looked like a hamstring problem – Ahmed Kutucu was thrust into action. The 18-year-old now looks to be the solitary attacking option with Bayern München and Manchester City both on the horizon. With Schalke needing the points more than their hosts, a share of the spoils does little to improve their league position. A rise to the top six looks to be beyond them, as does further progression in the Champions League after being drawn against Manchester City. 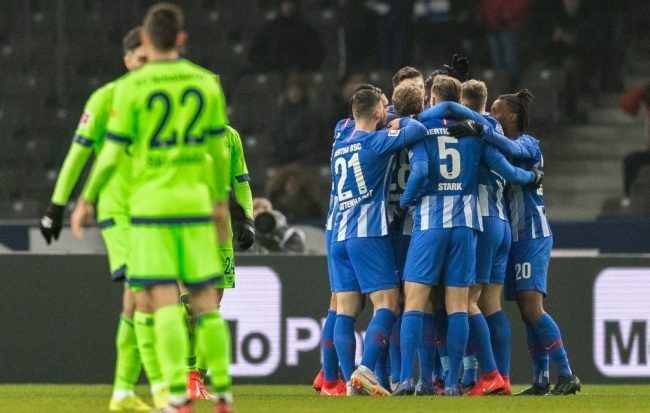 Hertha, for their part – they remain seventh after Matchday 19’s draw, had they managed to scoop all three points they would have dislodged Wolfsburg – who currently occupy the Bundesliga’s final Europa League qualification place. Die Alte Dame take on their closest rivals next week in a fixture that could go along way in deciding just who will be on a European adventure next season.